Uncertainty. The markets hate it. Established, successful businesses hate it. The markets are priced using certain assumptions, and successful businesses usually got that way under the current rules. So any disruption is a cause to pause. During that pause, some panic. Others, who are looking for opportunity or aren’t faring as well under current conditions, might see uncertainty as a place where gaps appear and a little light shines in, presenting opportunity to improve their lot. Whether you think the sun will come up or we’re teetering on social destruction, all players in the industry are in a period of reassessment. People who need to make decisions for hospitals, for manufacturers, for insurers, and patients themselves are all looking for clues about direction, and the answers are dribbling in. There is a lot still left for speculation, but for now, here are a few personal thoughts on considerations while we live out Healthcare in an Age of Uncertainty. We are learning something about direction from the choice of Tom Price for HHS Secretary. He backed the 90-day reporting period for MACRA and electronic health record reporting to ease the administrative burden on providers. If past performance is any indication of future performance, we can expect more administrative relief for doctors and hospitals. Even under the rosiest ACA scenario, we knew that the majority of physicians did not even know what MACRA was let alone how to report under it starting in January 2017 – one month from today- and MACRA was the basis of the new physician payment system. Yes, with Tom Price we also get efforts to remove public funding for abortion. One of my daughter’s medical school colleagues wears a coat-hanger necklace to remind people about the alternative to legalized abortion. Having spent most of my career in and around the pharmaceutical industry, I was most interested in the suggestion that Medicare may want to start to negotiate prices to get a better deal. Having done a lot of work interpreting Part D when it was first passed, one of the concessions (promises) made to strike the deal with pharma specifically spelled out that the government would not be able to establish fixed pricing for the Part D program because it is such a big piece of the industry’s business. Deals are made to be broken, or so I’ve heard. What Does Fidel Castro Have To Do With It? Several years ago I did a project on the global vaccine market, and the viability of getting vaccines to the elderly in emerging nations in places where the infrastructure does not support special delivery of refrigerated products. I interviewed a few dozen physicians who work in the field and are associated with vaccine efforts. One doctor said he has worked in about 70 countries. As one of those last “oh-by-the-way” questions, I asked him where he saw the best healthcare system in the world. He said, “Cuba.” Follow-up question, “Why?” Answer (paraphrased): They have a free clinic in every neighborhood and the ratio is roughly one clinic to every 500 people. Everybody goes to the doctor when they get sick. 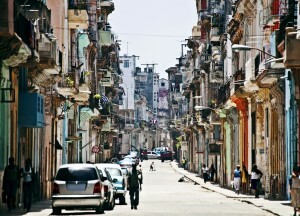 I haven’t been to Cuba, and if any readers have first-hand knowledge of the healthcare system there, I’d love to hear from you. That doctor’s answer has been on my mind lately for a couple of reasons. Second, the new administration has been asked how they will care for indigent people if they lose their subsidized healthcare. I am reminded of some of the clinics we currently have operational such as Federally Qualified Health Centers and I wonder if that system can be expanded to serve indigent populations at less cost and less administrative burden than using an insurance model. 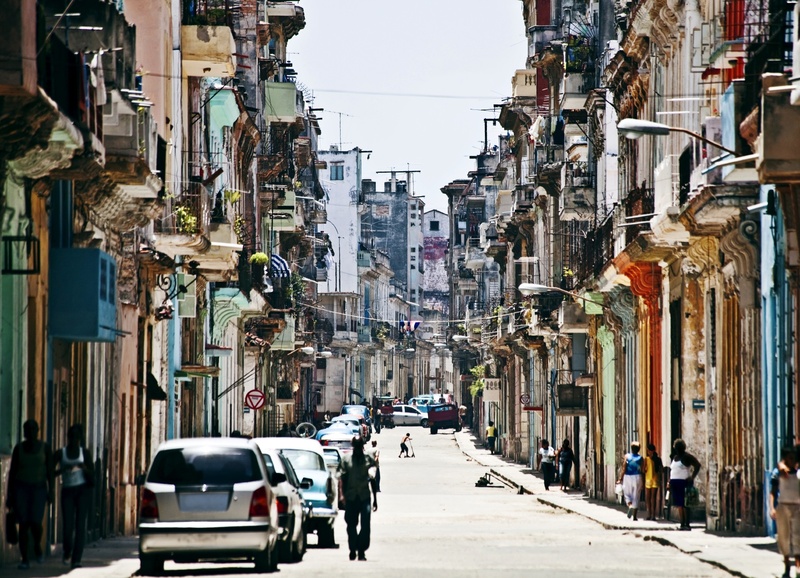 Be entertained and click on Cuba: Where Taxi Drivers Earn More than Doctors. I learned this phrase in my total immersion Spanish course in college from a Columbian revolutionary hired by my university to teach Spanish to American university students. To his amusement, he taught us to yell this phrase while raising our fists. We alternately hear that the United States has the best healthcare system in the world, the most expensive, we get the least for our buck, we have the worst infant mortality statistics in the “developed” or “first” world, and other pearls of common wisdom. Some say the solution to getting care to the indigent sick when they need it is to move toward a system more like the UK’s National Health System. The UK is a place where everybody gets care, but we have also heard the lines are long and the care is rationed. Something we don’t hear as often is how little the providers of that care are paid. This article from the Business Wire, dateline London, shows us the effect of the UK medical system on the providers themselves. LONDON–(BUSINESS WIRE)–Cashfloat.co.uk, a moral payday loan company based in London, has revealed shocking statistics about the financial hardships of NHS nurses. Over 35,000 NHS nurses forced to rely on payday loans – almost double 2013’s number. Western Circle Ltd, a short-term lending company trading as Cashfloat, analysed the data from over 160,000 payday loan applications. They discovered that those employed in the health and social care sectors are most likely to apply for payday loans. Within this section, 19% were nurses, 18% carers, and 11% were health care assistants. The disproportionately large use of payday loans in the nursing sector is a clear sign that something is seriously wrong. The Cashfloat team pride themselves on truly caring for their customers. This prompted them to take action and publish these results, aiming to draw attention to the plight of NHS nurses. These nurses are an essential part of society, often going above and beyond to help the public. If nurses are earning so little that any unexpected expense requires a payday loan to cover it, something must be done about it. As a responsible payday lender, Cashfloat is in a unique position to gather information and statistics about the financial state of the different sectors of society. In the fine American tradition of sparring civilly in the public arena, special interests are lining up to preserve what they’ve gained, to hold hard-won ground and to recover ground they may have lost under the ACA and other healthcare laws. There is a lot to consider as we decide how to move toward getting people care when they are sick, and fairly paying providers in the bargain. Legislation has consequences. Decisions must be paid for by somebody. Shift happens. It is a good time to find your opportunity and leverage the shift. ← A Post-Election Report from Pennsylvania: The ACA Factor?